How to Connect your WiFi or Camera Over a Mile Away! 08 Apr How to Connect your WiFi or Camera Over a Mile Away! Through the use of fixed point to point technology and two access points, connect your camera or WiFi over extremely long distances. This allows you to keep your cameras off the same network so it doesn’t slow down the internet. Simply place two Access points within a clear line of sight and your IP camera can connect over a mile away! 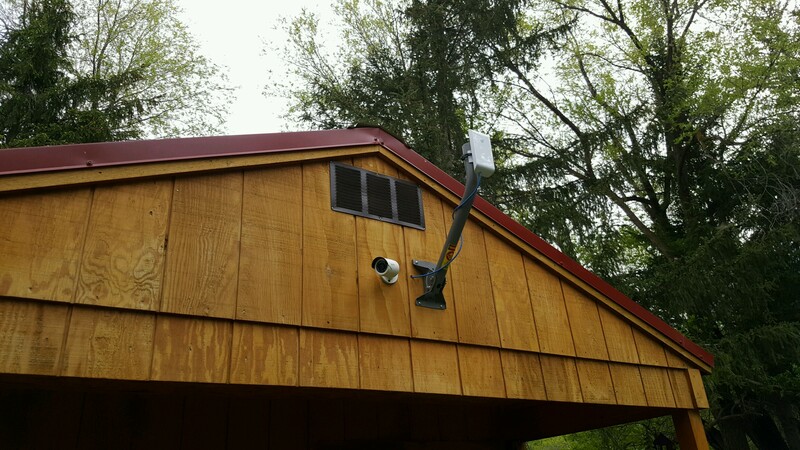 This is more common for barns and apartments to use the range wireless bridges. 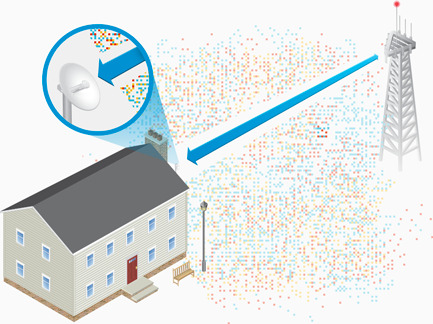 Fixed outdoor wireless communications focus on two primary deployment methods which distribute wireless: Point-to-Point (PtP), and Point-to-Multipoint (PtMP). Point-to-Point (PtP): Connects two locations within line of sight, usually at a distance of multiple km, essentially forming an Ethernet bridge. Point-to-Multipoint links (PtMP): Connects three or more locations, using one Base Station (or Access Point) and multiple Service Provider devices (Stations) connected to the Access Point. Here is a job where we installed Ubiquiti Nanobeams to extend range from building to building to allow complete camera access while still having the recorded video stored in one NVR. Base Stations should usually be located on the top of a tower, building or mast. The height will determine maximum coverage. 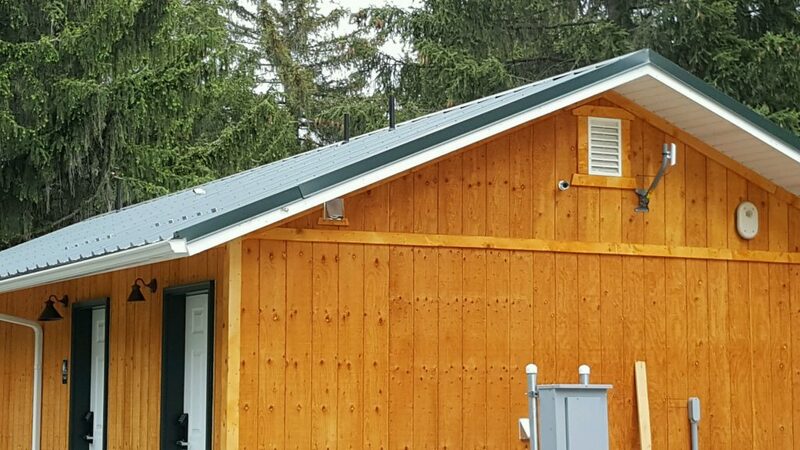 When planning the Base Station, it’s usually ideal to plan for an antenna with the smallest coverage that still covers the desired area. Antennas with a wider beamwidth, covering a wider zone reaching more stations, may be more susceptible to interference, resulting in decreased scalability and performance. The sleek Ubiquiti Wi-Fi Nanobeam pivots on a ball joint for mounting as well as alignment flexibility. While Incorporating innovative industrial design with proprietary airMAX ac technology, the NanoBeam AC works best for Networking deployments requiring maximum performance from the smallest possible footprint. Furthermore, it’s compatible with other Ubiquiti products found here. Point to Point Directing allows it to connect through weather and other active frequencies. Furthermore, this design allows the connection to reach up to up to 15 kilometers (9.32 miles)! While producing up to 450+ Mbps(Mega-Bytes Per Second)! 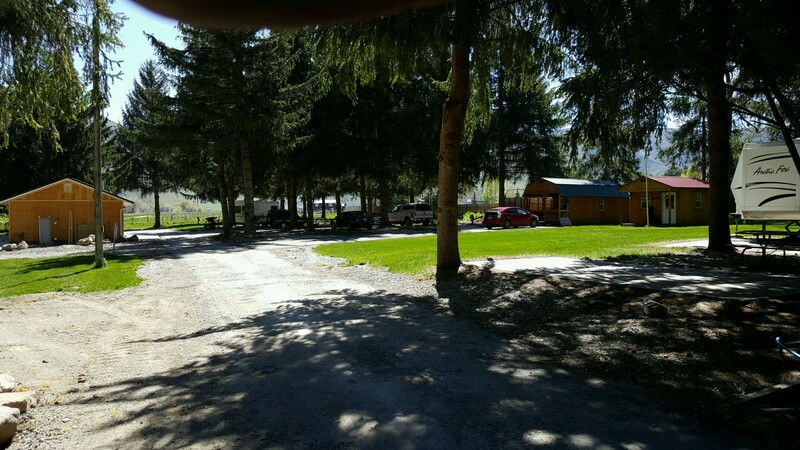 As shown below, we were able to install cameras from these two detached buildings without needing to hard-wire each camera to the NVR, connect each camera to the Wi-Fi, or trench wire. The Wireless Bridge technology enables connection to hard to reach locations while providing your home or business with quality connection. If you have any additional questions you can contact us at 1-800-871-2119 or comment below and we will be happy to answer your questions!